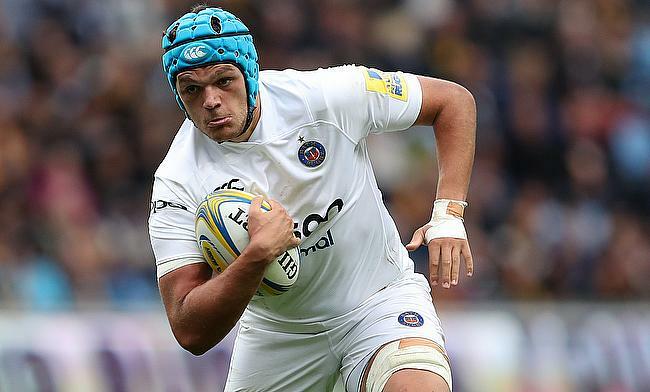 Bath flanker Zach Mercer has penned a new two-year deal that will keep him with the Gallagher Premiership at least until 2021. Mercer made his professional rugby debut with Bath in 2016 and has made 38 appearances for the Recreation Ground outfit since then. His performance in the last season in which he scored six tries saw him represent Eddie Jones' England squad during the game against Barbarians earlier this year. "I couldn't ask for a better place to continue my development, we've got a great set-up with the coaches and players along with an amazing supporter base," he said. "It's a really exciting time to be part of this club, and our challenge now is to make sure we're up there competing with the best in the Premiership and Europe." Mercer has captained England U20 side that went on to win the Grand Slam during the U20 Six Nations in 2017 and also led the team in the Junior World Cup in the same year where they reached the final before defeated by the eventual champions New Zealand. Bath director of rugby Todd Blackadder believes Mercer has all the credentials to become a 'world-class player'. "Zach is a huge talent, and we're really pleased to have secured his future with the club," said Blackadder. "Over the last two years, he has worked incredibly hard at all the aspects of his game. This has paid dividends and is clear to see in his dominant performances. "He has got all the attributes to become a world-class player, and it's great to know that he sees Bath as the place to do that."